Daytona International Speedway is hallowed ground for anyone born with oil running through their veins. Those who follow racing understand the track’s A-list celebrity status and appreciate its insurmountable historical pedigree. 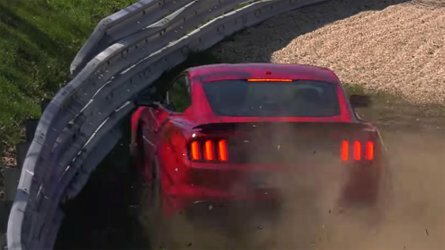 In simple terms, driving Daytona is prime automotive bucket list territory. 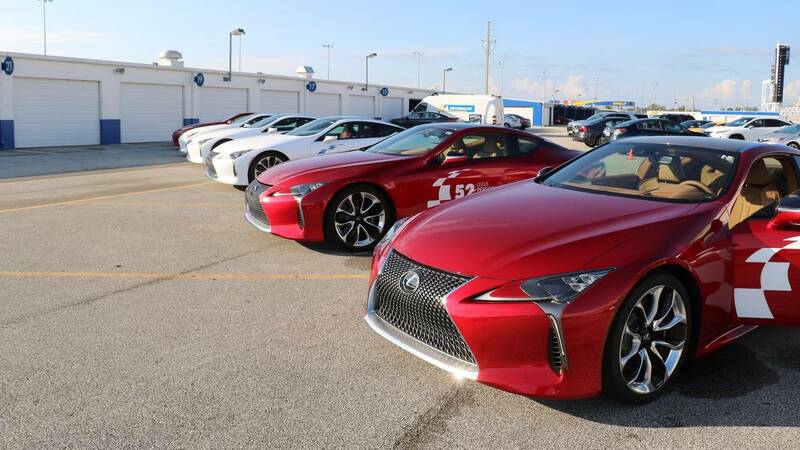 So when the folks at Lexus asked if I wanted to sample their F-Performance line around the banked curves of the famed speedway, I didn’t have to think for very long before replying "F-yes." 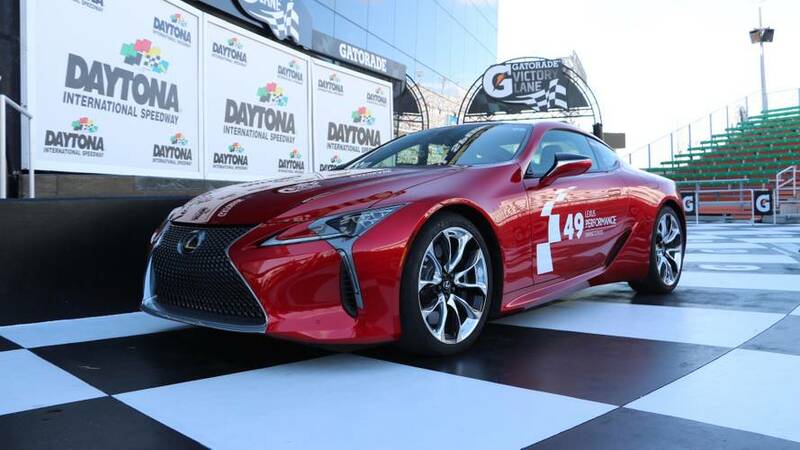 For the 2018-2019 calendar year, Lexus is hitting the road and bringing with them truck loads of their most exclusive performance vehicles, known as the F-performance line. In today’s world, the GS F, RC F and LC 500 all sit atop the pile in terms of Lexus’ most elite go-fast cars. Thus far, the driving school has visited Indianapolis Motor Speedway and Daytona International Speedway. 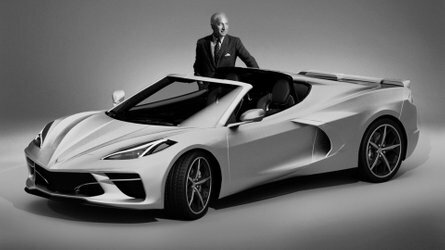 Still on the menu for later this year and early 2019 are Monticello Motor Club in New York (November 2-3) and Monterey Peninsula in Monterey, California (January 25-27). Driving school attendees can choose from three day-long events: one on Friday, Saturday, or Sunday. Regardless of which day you pick, the agenda looks the same: quick introduction and safety talk in the morning, followed by non-stop seat-time behind the wheel, save for a midday lunch break to recharge your internal batteries. 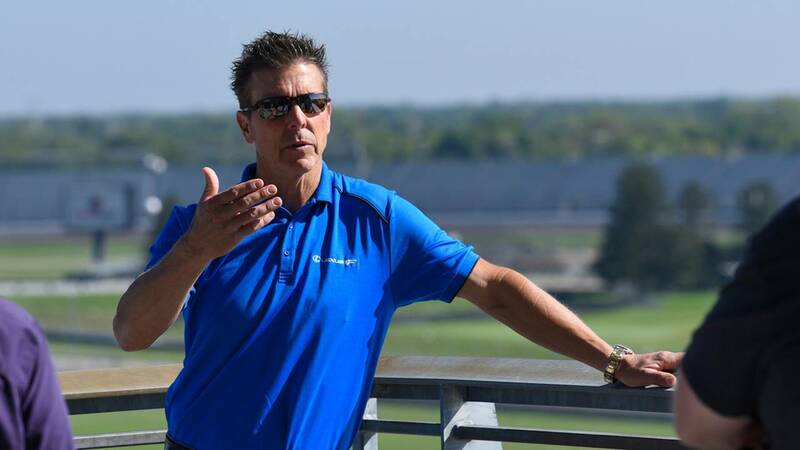 Bring your best driving shoes and prepare to learn from some of the best in the business, including racing legend Scott Pruett. 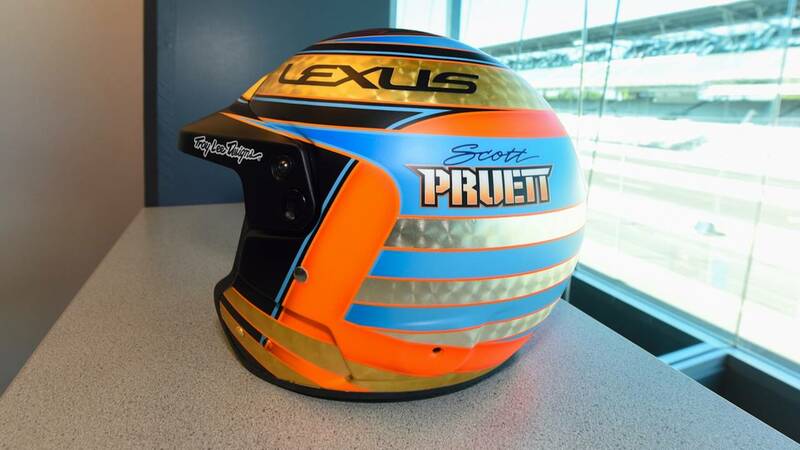 Though he now spends his time developing Lexus’ sportier side of the range, Pruett has a career filled with prior achievements to justify his current role, including 60 wins in the IMSA series and five Rolex 24 hour race wins at Daytona. I should set the table by saying I am the furthest thing from a professional racing driver. My performance-driving opportunities have been few and far between, so I was more than skeptical as I first glanced up at the absolutely sinister Daytona curved banking. Luckily, it didn’t take long before the Lexus team began providing instruction – always reminding us to stay within our comfort zone. Students going into the day with the modest goal of sharpening their skills – and not trying to set any course records – will undoubtedly maximize their experience. Take it from me. 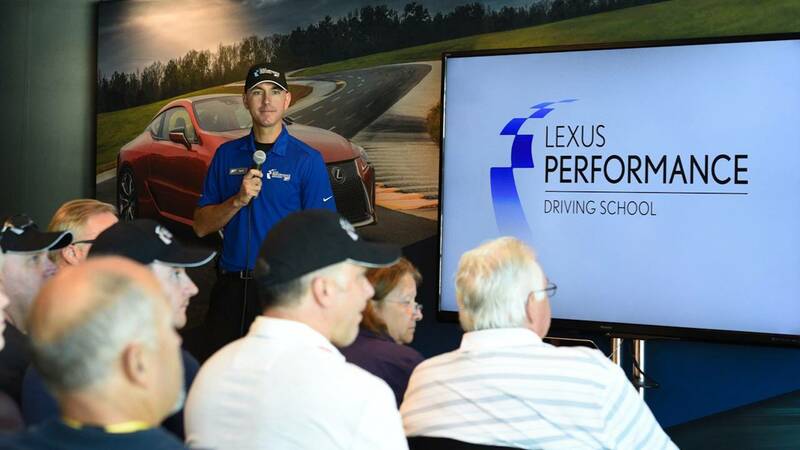 After the morning safety briefing, the Lexus team wastes no time getting students behind the wheel. Think of the day’s schedule as the world’s greatest day of high school: four 45-minute sessions in the morning, lunch, and four more in the afternoon. 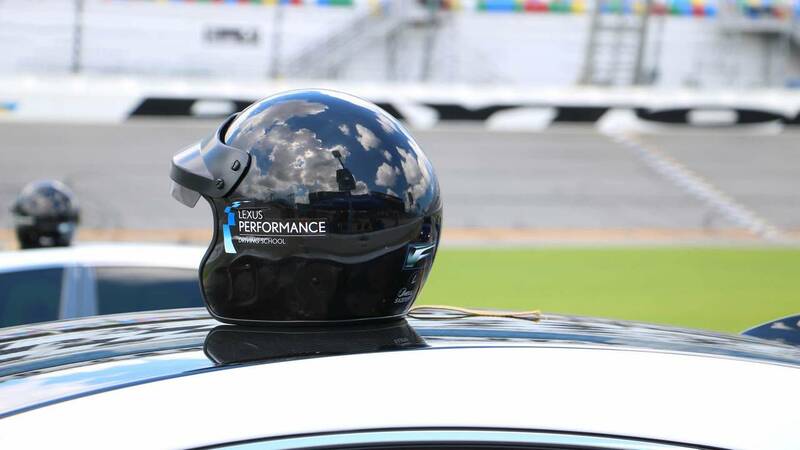 Our action-packed itinerary included lead/follow laps around Daytona, a smaller autocross track, skid pad and drifting, and a small group Q&A with Scott Pruett. 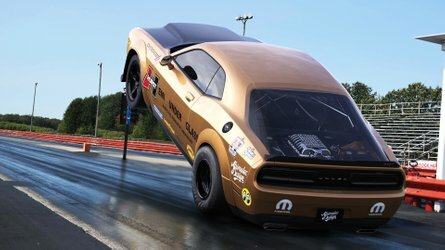 The driving sessions were just long enough for me to find my groove, but quick enough that I never felt bored or unattended to. Each session is also replicated two times or more, which means the goal is to take morning lessons learned and turn them into afternoon success. 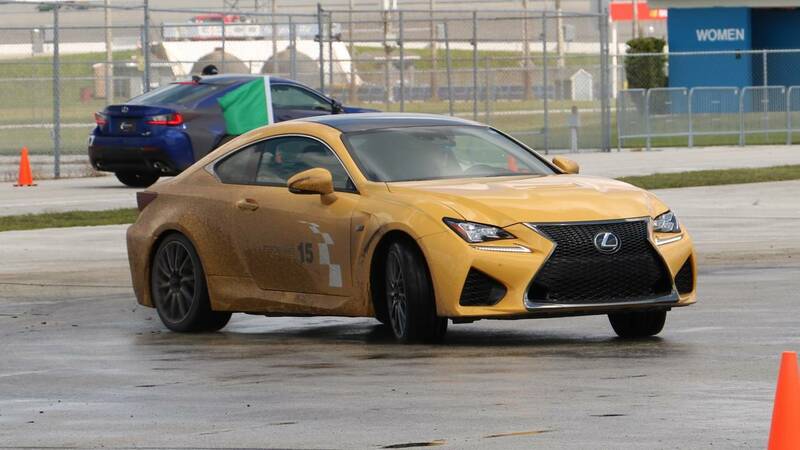 The day began at the autocross track with the latest addition to the Lexus performance lineup: the LC 500. Though the instructors were quick to remind us "this is not the LC F... it’s the grand touring model," the thought rarely crossed my mind. The LC 500’s brutish 5.0-liter V8 in Sport + mode makes it hard to view the car in any setting other than a full-on track monster. The autocross "circuit" was quick and tight – a good time around was sub-34 seconds, while a 37-second lap was considered not so great (I managed both). As the LC and I became better acquainted, my lap times fell modestly – about a second with each lap. The LC 500 is no small car by any stretch of the imagination, so hurling it around corners not much wider than the car itself proved difficult, yet exhilarating. But with each obvious error or misjudgement, a Lexus coach was quick to offer help via walkie talkie. "Remember, you’re here to learn. Take your time and try it again," the coach encouraged. 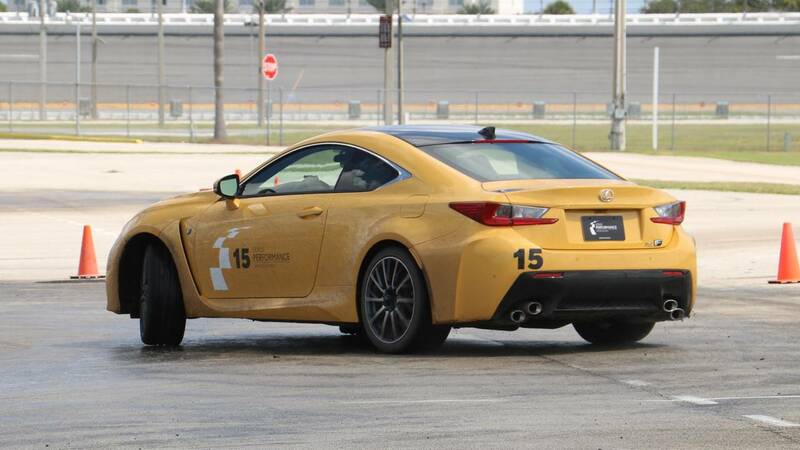 After the autocross track, I was placed in an RC F to tackle the skid pad/drift course. Officially, Lexus explained that this session was designed to bolster our ability to control a vehicle if something gets out of hand. Off the record, this was my chance to light up the rear tires without fear of ruining the car or myself. And light up the tires I did. 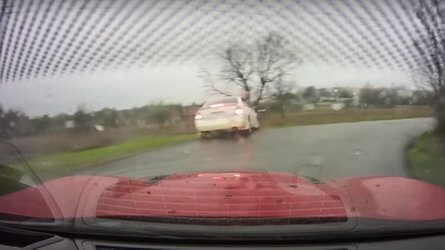 Even in the wet and with traction control turned off, the RC F was a willing dance partner, and felt right at home spinning aimlessly around the skip pad. I got the feeling the F-performance line was created to put smiles on faces above all else.The RC F took this mantra and ran with it. 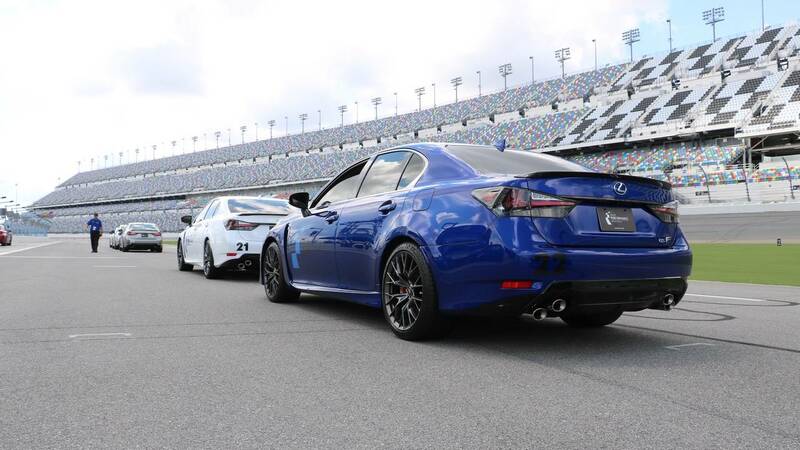 Without question, the highlight of everyone’s day was the lap sessions around Daytona International Speedway. 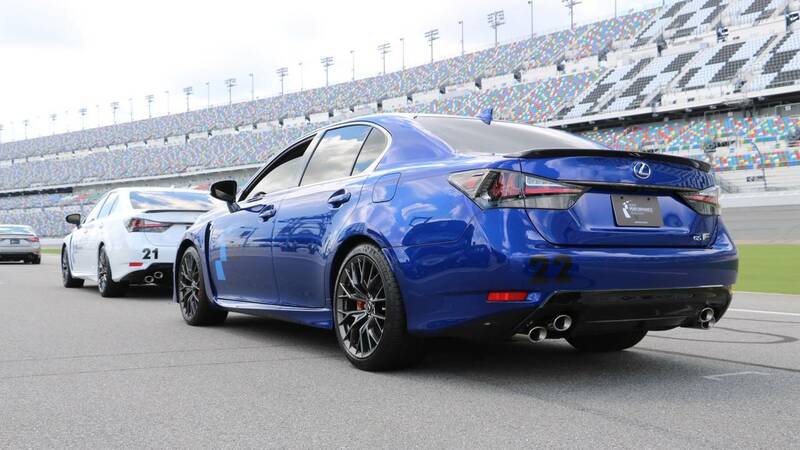 Our provided weapon to attack the 3.5 mile road course was the underrated and often overlooked GS F. Despite its sedan proportions, the car was poised flying around the 31-degree – "holy sh**" – banking at 120 miles per hour. With 467 horsepower and a stiff, fixed-rate suspension, the GS F shrugged off any doubt that it can handle such territory. 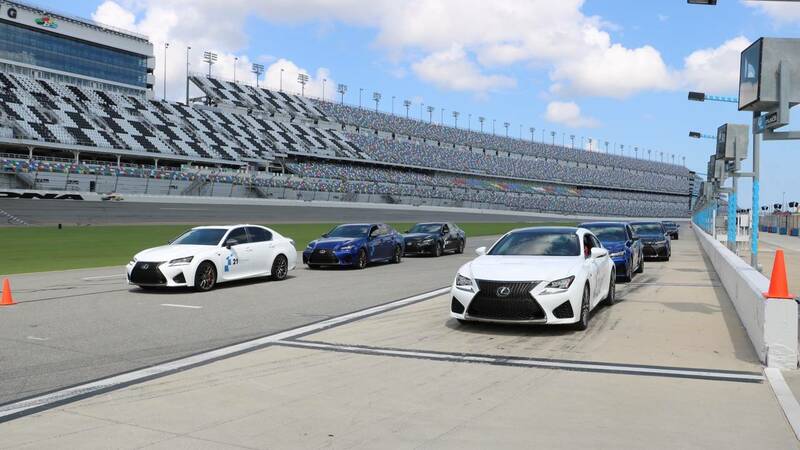 My lead/follow sessions around Daytona in the GS F provided the best opportunity to fully understand just how well trained and experienced the Lexus Performance Driving School staff are. The instructor was steady and direct with his coaching, always making sure everyone kept pace, while still remaining safe. Daytona’s famous road course is best learned through constant repetition, which the staff provided with expert precision. Entering pit lane after my last lead/follow session, hands still trembling, I made the quick mental note that the GS F is the all-star in the family. 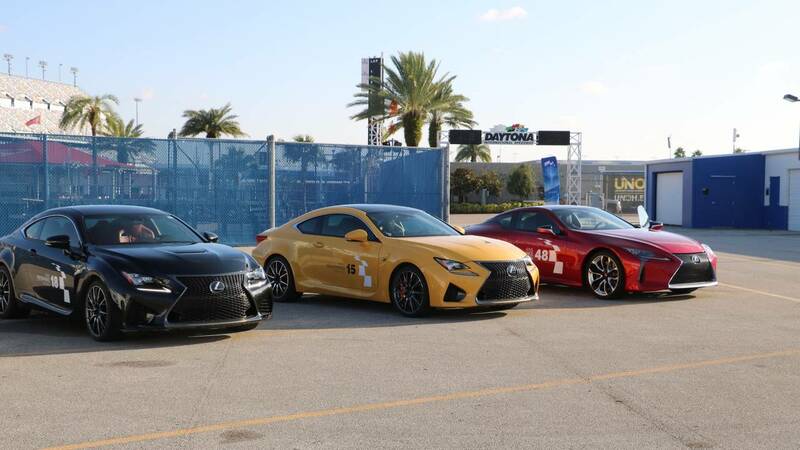 That is, perhaps, until we finally meet rumored LC F.
Enthusiasts of the Lexus brand will surely enjoy participating in a Lexus Performance Driving School event. 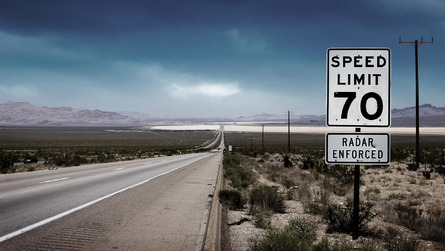 But even for casual enthusiasts, the driving school is a fantastic way to sharpen your skills; all while having a hell of a lot of fun in the process on some of the country’s most famous race tracks. The price to attend is $995, which includes breakfast, lunch, and a full day of driving. Show up in comfortable clothing– with appropriate shoes, of course – and let the team at Lexus take care of everything else. Lexus may not be the leader in performance vehicles, but their F-performance line is a wonderful blend of Japanese precision and pure, unadulterated fun. I drove three, fully-capable track vehicles – the LC 500, RC F and GS F – and was constantly looked after and encouraged to improve. 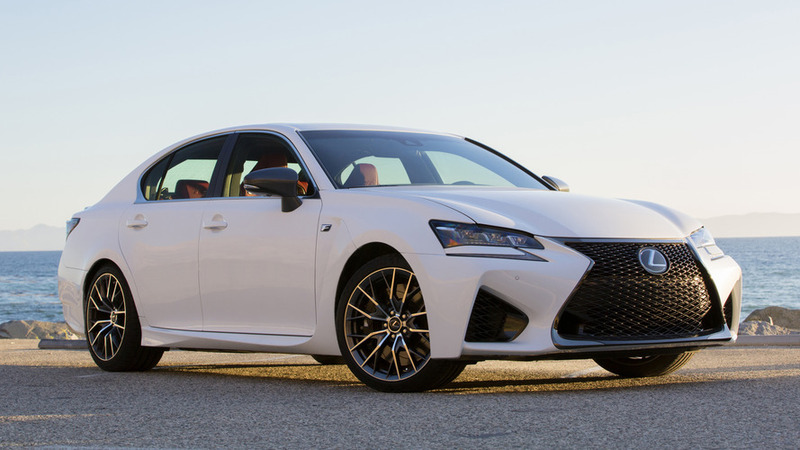 For those with a Lexus F vehicle already in the garage, the opportunity to push these cars to the limit off the streets and further understand exactly what you purchased seems like a no brainer. And for everyone else, a day at the track isn’t so bad, either.